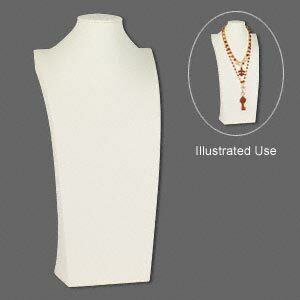 Display, necklace, leatherette, white, 6-3/4 x 10 x 9-1/2 inches. Sold individually. Item Number: H20-1694PK Have a question about this item? 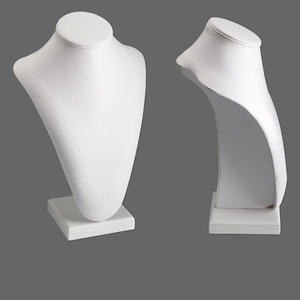 Create drama and height in window displays and showcases with this long pedestal display. 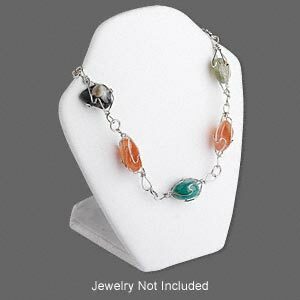 You can show a 16-inch necklace around the neckline and a pendant or necklace up to 28-inches long (using the hook on the back) on this high-profile piece. 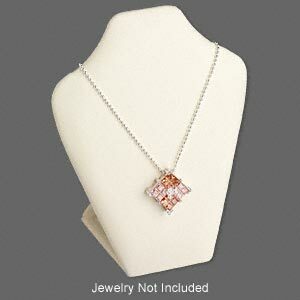 Display, necklace, leatherette, cream, 10 x 6-1/2 x 3-3/4 inches. Sold individually. 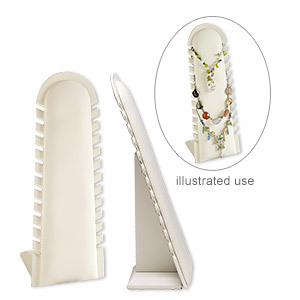 Display, necklace, leatherette, white and black, 8-1/4 x 7-1/2 x 7 inches. Sold individually. 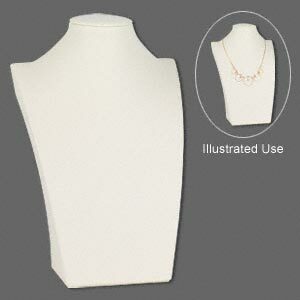 Display, necklace, leatherette and VELCRO®, cream, 6-5/8 x 5 x 2-3/4 inches with adjustable back tab. Sold individually. 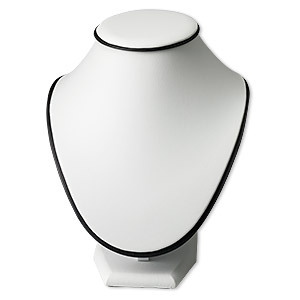 Display, necklace, leatherette and VELCRO®, white, 6-5/8 x 5 x 2-3/4 inches with adjustable back tab. Sold individually. 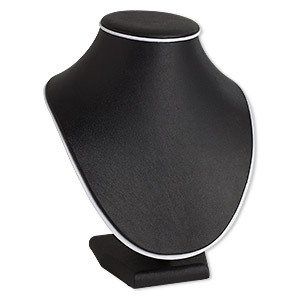 Display, necklace, leatherette, black and white, 8-1/4 x 7-1/2 x 7 inches. Sold individually. Display, 12-strand necklace, Nabuka leatherette and cardboard, cream, 12-1/4 x 4-1/2 x 3-1/2 inch. Sold individually. 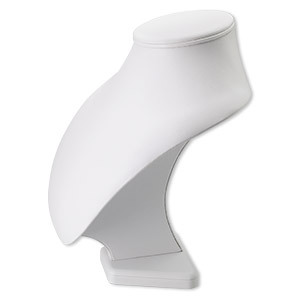 Leatherette long pedestal display, white. 9in wide x 6in deep x 13-1/2in high. Sold individually. 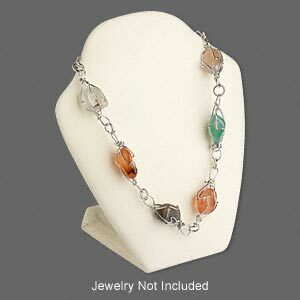 Display, necklace, leatherette, cream, 16-3/4 x 8 x 4-1/2 inches. Sold individually.